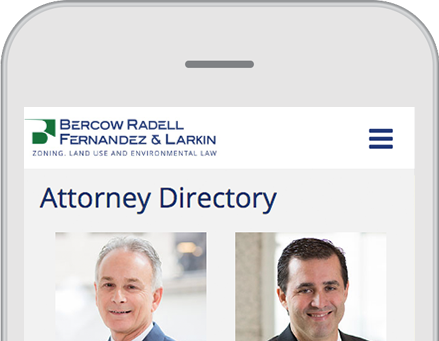 Bercow Radell Fernandez & Larkin enlisted TECKpert to reimagine the firm’s digital presence. 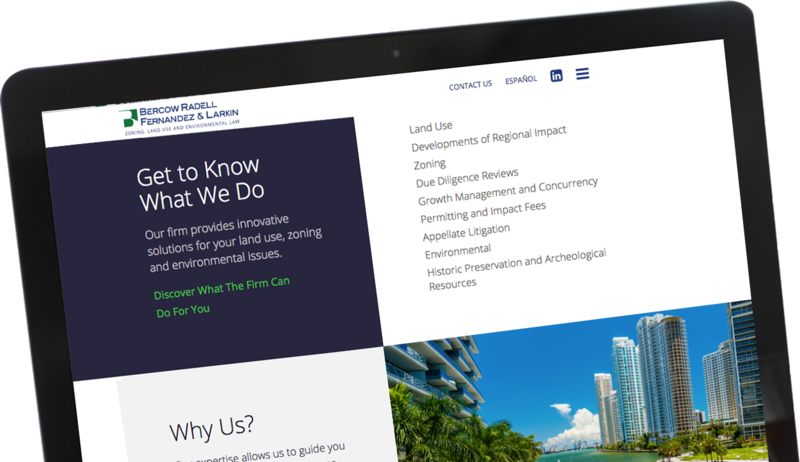 As a preeminent real estate and zoning law firm whose projects have included the Miami Metromover, the Raleigh Hotel and the Homestead-Miami Speedway, Bercow sought a modern, urban-feeling website that matched their team and their clients in sophistication. 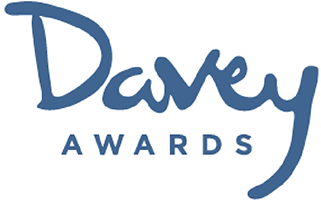 Our objective was a complete digital transformation, which entailed creating a new, compelling experience for Bercow’s web visitors, and, in tandem, laying the foundations for future digital growth through marketing and other campaigns. To achieve this, TECKpert turned the traditional idea of a firm website on its head, creating an immersive experience that opens with footage of the Miami Metromover flowing through Downtown Miami. Our team recreated that feeling of flow and movement throughout the site in a series of interconnected interior sections that showcase key information for potential clients and site users. But what is form without function? 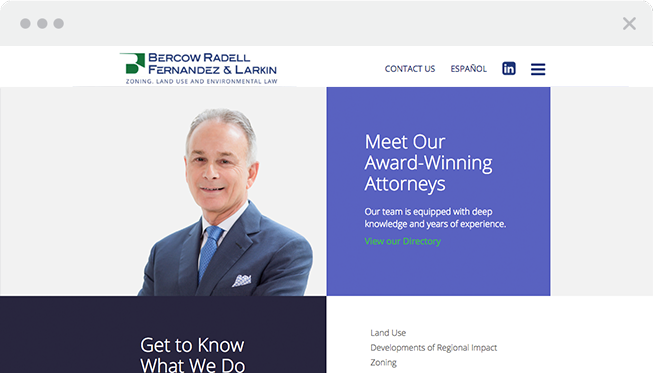 Even as our team pushed the Bercow site into new territory, we didn’t lose track of our client’s most important objectives: creating a crisp and clean product that showcased firm highlights, from past projects to the latest firm news. 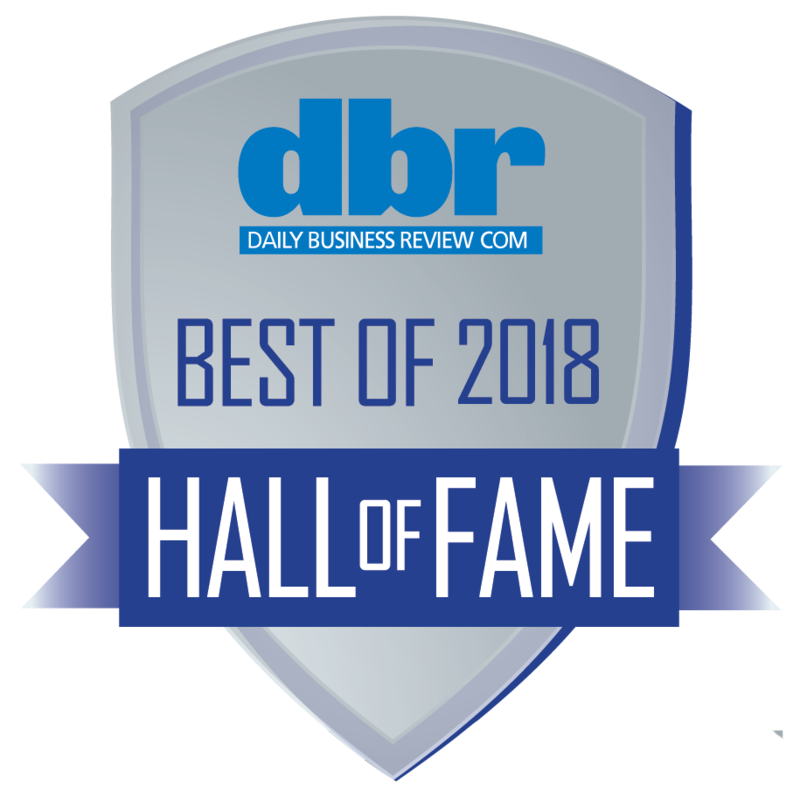 As strategists, we also understood the importance of a platform that would impress website visitors, including potential clients, media and partners, while also serving as a foundation for future digital growth, marketing and outreach. To see what this looks like, view the site at brzoninglaw.com. 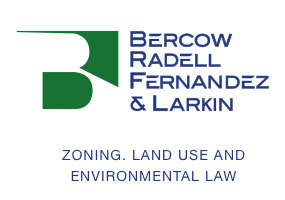 Bercow Radell Fernandez & Larkin is one of South Florida’s premier law firms specializing in land use, zoning and environmental matters. It is a true boutique firm with a practice limited to these inter-related fields of law. The firm’s attorneys have expertise in regulations governing real property, land development, construction permitting and business licensing.